Until June 30 Mirko Kovats has to find a buyer for A-Tec who is willing to invest € 230m in order to fulfill the 47% payout plan ratio. Otherwise the company will be liquidated. 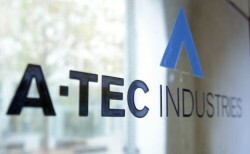 He would be in negotiations with ten potential investors, Kovats said at the annual general meeting of A-Tec’s subsidiary ATB. The Czech-Slovak investment group Penta is said to be one of them.